MicroUAV is proud to offer a complete, custom circuit board design and production service to our customers. From rough requirements, through engineering design and analysis, to a finished and field tested product, we will work closely with you to ensure the end result exactly meets your needs. We specializes in motion control, still and video camera control, aviation lighting, custom sensors and motion sensing electronics. 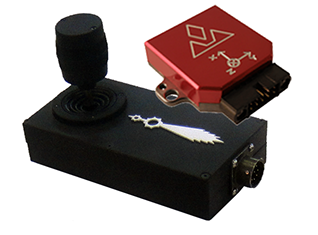 We can provide custom control interfaces for any of our existing products, for example to drive a camera gimbal with a nonstandard input signal. Typically, we design for minimum form factor and can provide solutions for odd shaped enclosures. 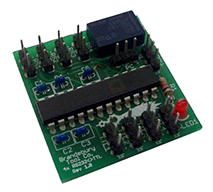 This board converts standard hobby PWM signals and outputs Sony VISCA zoom command functions. It is available in either TTL or RS-232 and can be installed directly into all BTC gimbals with Sony block cameras. 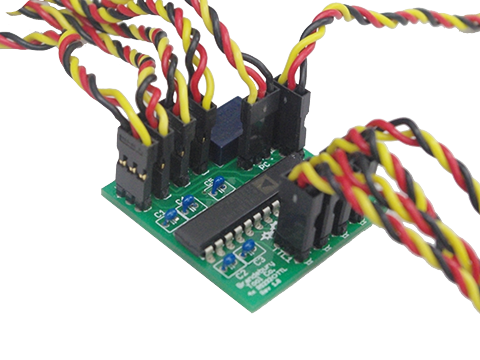 The Position to Velocity mode converter allows for easy, precise control of any of BTC’s PWM driven gimbals directly from a standard RC control setup. 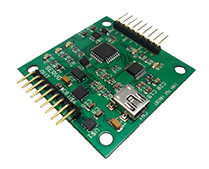 The EX stabilization system features a VectorNav IMU with a micro-controller for a powerful off the shelf turnkey solution. This system offers multiple input and output options. The unit utilizes closed loop control via optional hand held joystick that allows for simple plug-and -play installation on manned platforms or serial control for unmanned systems. 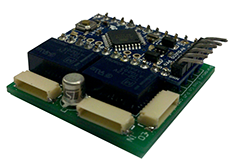 The Stabilization Board features an inertial motion unit (IMU) with a micro-controller for a compact, low power, single board solution. System is compatible with both manual and autopilot guided targeting. 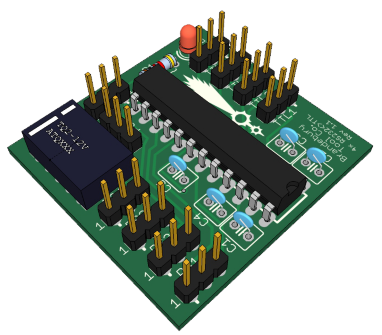 This board converts four channels of TTL to RS-232. In addition, one of the channels can be switched to allow selection between two RS232 ports from a single TTL port. 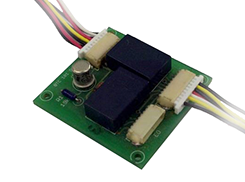 The Dual Relay board allows the user to switch between two analog camera sensors to a single output. Along with switching the analog video stream, it also switches the RX and TX data lines for access to camera functions. The PWM Dual Relay version uses standard 900 to 2100 microsecond PWM signals to activate the video and communications switch. 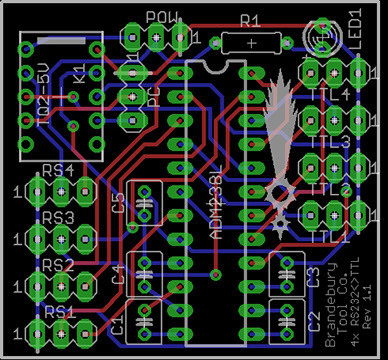 A second PWM input will control a Sony block cameras zoom via the VISC A command protocol.